BOATER'S PARADISE FOUND! Direct Gulf access from a wide & deep canal. Includes 2 deep water slips-one w/14, 000 lb lift & one rented out for approx. $7, 000 per year. Sparkling water views up the canal - ring side seats for annual FMB Holiday Boat Parade. 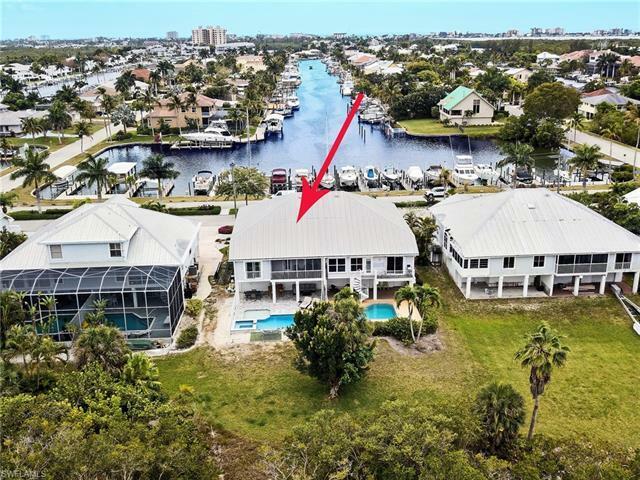 This open concept, spacious & light-filled home has been renovated 'stem to stern' in contemporary, coastal style-weathered wood-look laminate flooring, plantation shutters, exotic granite counters in kitchen & BAs, white cabinetry, crown molding, SS appliances. Very recent improvements include- new pool, new windows & shutters, 14, 000 lift, new a/c, new tankless water heater. Under the bldg parking w/room to store all your 'bog boy' toys. 'Don't miss the boat'-priced to sell quickly!